​all include a mini lesson! Rentals made easy! No transporting, carrying, or hassle , just park in our private driveway and your board awaits you on our private dock! Safe, secure and simple. We even provide glasses straps so you won't loose those precious sunnies and dry bags to keep your phone, camera and snacks dry on the deck of the board! Not keen on the "stand up " part, we have specially designed kayak seats and paddles for our boards so you can paddle it just like a kayak but easier! You won't get stuck inside a cockpit and its easy to swim from! The most complete rental/demo fleet in all of BC's interior. Our rentals are the current model year, very stable, and therefore provide an exceptional experience every-time. 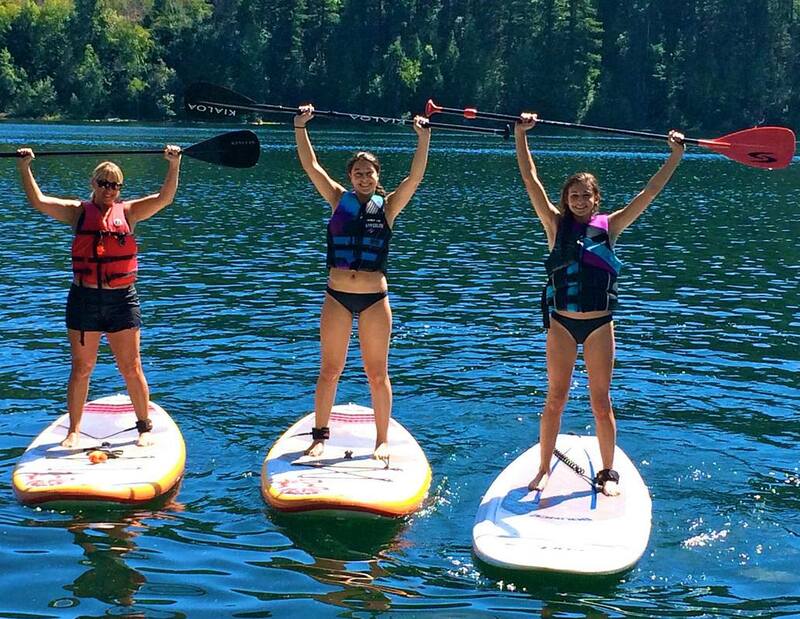 First timers, no problem, as every rental includes a "mini" lesson from one of our professionally certified staff! 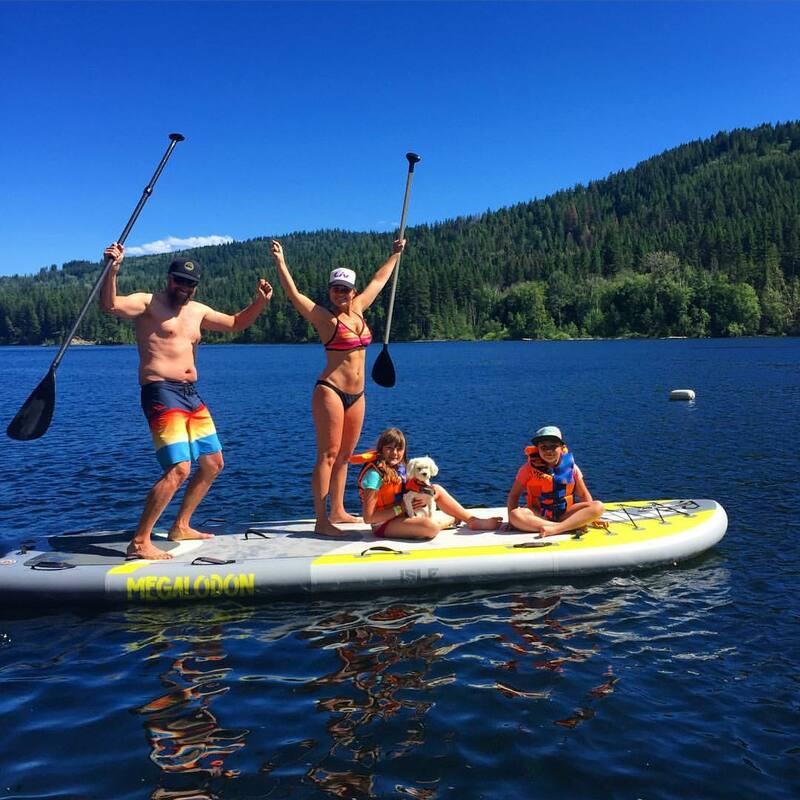 NEW MULTI-PERSON INFLATABLE SUP RENTAL! - Up to 8 on one board! ​2 hour rental $250 includes paddles, and PFD's. 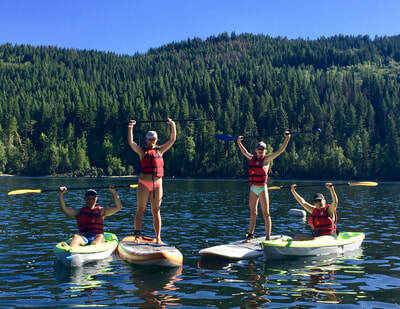 SUP / SUP KAYAK RENTALS $50/ for 2 HOURS! 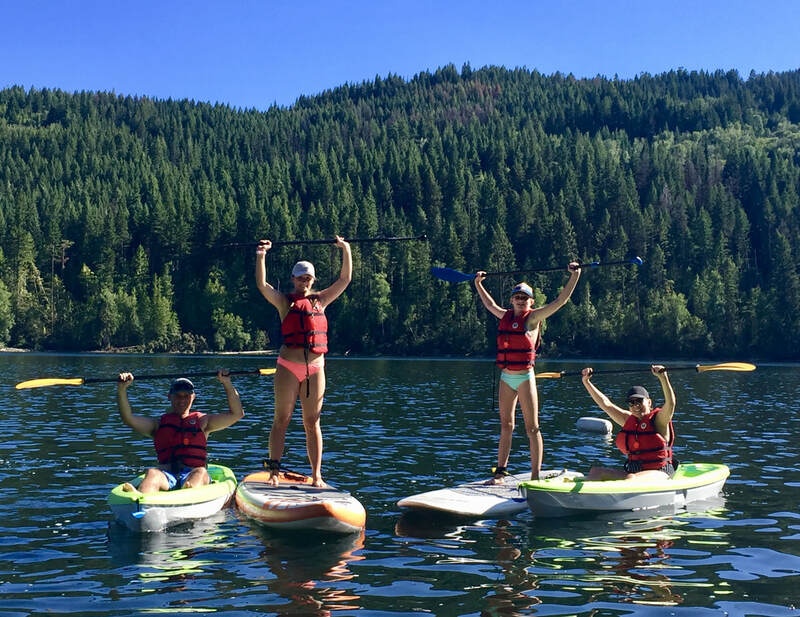 Park and Paddle at spectacular Heffley Lake! 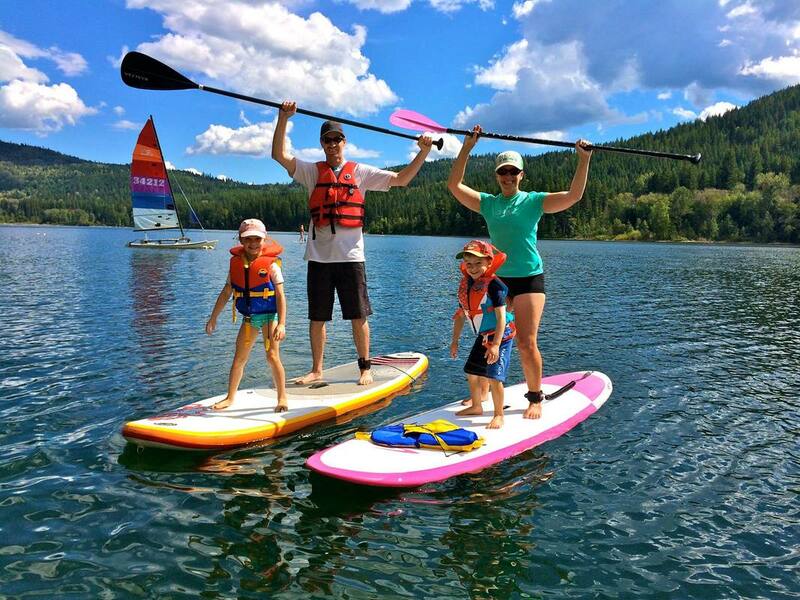 Brand new SUP rentals just 35 minutes away from Kamloops and just 15 minutes from Sun Peaks Resort. No need to worry about transporting, just park and enjoy the peace, and tranquility of a mountainside lake. Enjoy Heffley Lake's spectacular and tranquil bays. View abundant wildlife on miles of uninhabited shoreline. Osprey, eagles, loons and blue herons all nest on the lake. Enjoy seeing the diving "red ear slider" turtles that also call Heffley Lake home. Friends, please note that we do not take booking inquires by email, by text or Facebook. To reserve, please do so by phone only between 9am and and 8pm daily. Have a credit card number ready. Thanks! Rental rates include board, paddle, leash and life jacket and mini lesson! Call 250 318.0722 to book! Please note all reservations run rain or shine. 48 Hour cancellation policy. 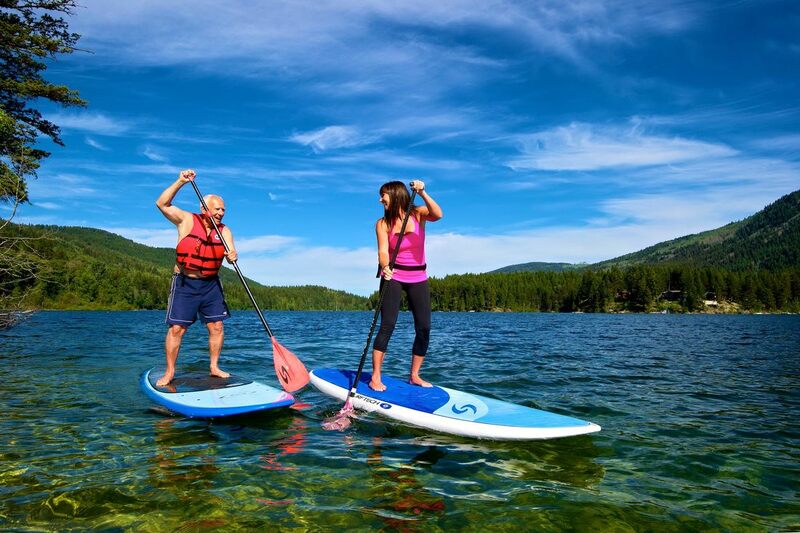 After paddling....visit internationally acclaimed Sun Peaks Resort just minutes away!